Catering to multibrand shops, independent retailers and department stores, London-based Double H needed a slick website to showcase their various brands to retailers in the UK and the world. The solution was a clean contemporary look that allows retailers to view brands online and download seasonal and current lookbooks. Black and white is the standard for fashion sites, so color doesn’t overshadow the fashions. Retailers can download lookbooks on the go with the mobile-friendly Double H Agency website. 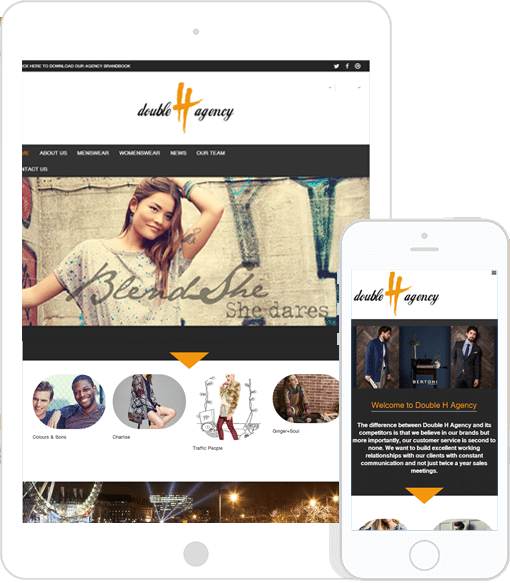 Double H Agency is is young and energetic and wanted their website to reflect the attitude of the company. Take a peek at Double H Agency and see for yourself.